The Heart of Recovery is a meditation and discussion group at the Shambhala Center of Madison with the purpose of bringing together the practice of meditation, the Shambhala and Buddhist teachings, and the 12 Steps of recovery. We focus on sharing our experience while bringing together meditation practice with our individual paths of recovery from addiction. We welcome all individuals who are committed to working with their addictive and compulsive behaviors. This group is open to anyone who is interested in exploring how the path of meditation and the path of recovery intersect. Free meditation instruction is available at Heart of Recovery meetings. No meditation experience is necessary, and brief meditation instruction is given at the start of each meeting. Newcomers will learn basic meditation techniques to enhance, not replace, their own recovery program. Experienced meditators will discover new ways to deepen their current practice while supporting the group. There is no charge for the meetings, but donations to the operating costs of the Shambhala Center of Madison are welcomed. Heart of Recovery meetings are now established at Shambhala Centers in multiple North American cities. 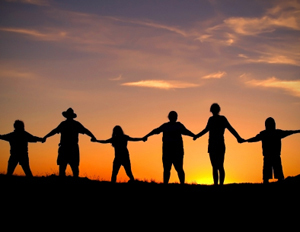 The Heart of Recovery meetings welcome and bring together individuals touched by addiction. This includes individuals recovering from substance and behavior-based addictions as well as those whose lives have been impacted by friends’ and family members’ addictions. While many meeting discussions will reference the 12 Steps, it is not a 12 Step group meeting. The Heart of Recovery meeting is intended to support individuals in recovery whether or not they are currently in a 12 step program of recovery. Heart of Recovery is not intended, however, to replace 12 Step groups, inpatient or outpatient rehab programs, or any other model of recovery. The common factor is that addiction has touched all of us in some way and we are looking for some way to understand what that means. We recognize that the anonymity and confidentiality of all who attend are essential foundations of respect and dignity. These guidelines allows attendees to feel safe and confident that the group is a protected container. 12 Steps of Buddha’s Path: Bill, Buddha, and We by Laura S.